Cladfit UK, has provided UPVC external cladding, also know as wall cladding to customers in Essex for many years. We provide and install new bespoke wall cladding systems for any type of property, commercial or residential, or we can replace and update existing cladding or clad over existing walls. We can offer our clients a variety of styles, finishes and materials to suit every requirement. If you already have timber cladding on your property and it’s getting a bit tired and dilapidated, or you have areas of decaying or ugly brickwork that you want to cover up, you can give your home or business a whole new look with exterior cladding. There are lots of different types of UPVC cladding so there’s something to suit every type of property from modern to the more traditional home. What are the benefits of exterior UPVC cladding? For cladding to retain its looks and consequently a home’s kerb appeal and value, it should be well maintained. The joy of UPVC cladding is that it’s low maintenance, hard wearing and tough and therefore lasts a long time with minimum maintenance required. UPVC exterior cladding not only looks good, it helps protect walls, keeps them watertight and prevents moisture from accessing the fabric of a building, which can be very damaging. These days UPVC Cladding is widely used to replace traditional timber cladding, which was high maintenance and far less durable. Exterior cladding can completely transform a property, enhancing its appearance and providing a highly cost-effective low maintenance option. Nowadays, it’s available in a wide range of styles, colours and design and some of those are outlined below. This sort of cladding consists of overlapping UPVC boards. You’ll often see this on sheds or outbuildings as it ensures a very tight seal and protection even in the most severe and intemperate climates, keeping things warm and dry inside. The grooves in between the boards act as channels for water to run off the building with ease. V Groove cladding is slightly different in that it leaves a v-shaped gap between the boards, again allowing water to easily run off the building. This design is not only attractive but offers good protection against the weather. 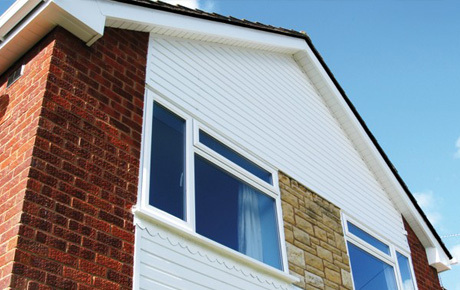 Cladfit UK offers a full weatherboarding for your property in a range of different colours and styles. Weatherboarding, not only makes your property look stylish but again provides it with hard-wearing long- term protection against the elements and again this form of cladding is low-maintenance. Our expertise in UPVC wall cladding means that we can provide a great service at very competitive prices. So if you timber cladding is deteriorating, or it’s becoming too high maintenance for you but you love the look, or you have a problem area of brick that you want to conceal, UPVC cladding is the ideal choice. You can choose from two aesthetic styles Shiplap or V-Grove, for a look that complements your home and its surroundings and of course there are lots of colours to choose from. 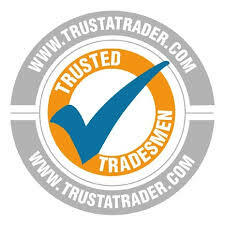 Please call us today on 0800 3345433 for a no obligation discussion or quote for any job and we will be more than happy to help and discuss your requirements.